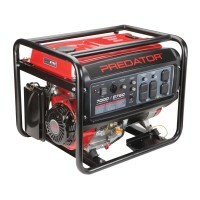 Where power is needed, this 4.5k generator will deliver, and fuel is provided so that you don’t have to do any extra work! This party supply is more of a party staple when you need power delivered with your inflatables! There's no inflation without working blowers!